That is how the holiday song goes, yes?! 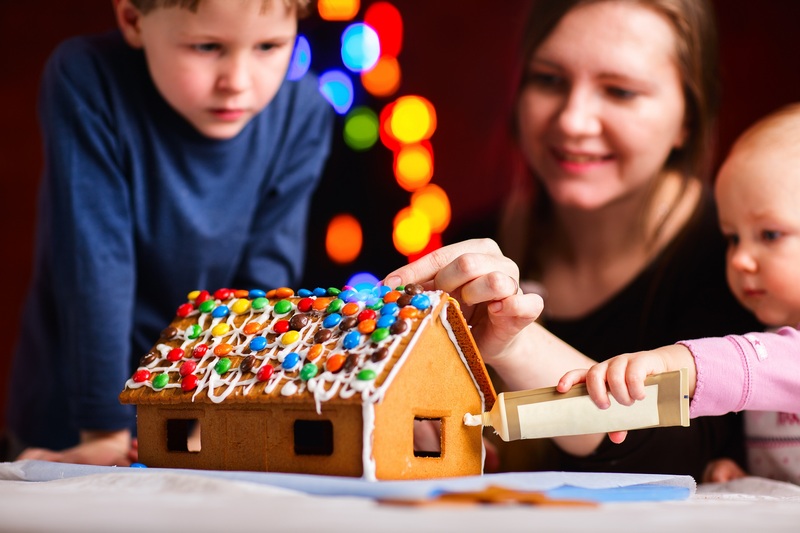 For families, the holidays are certainly a special time, and children of all ages delight in anticipation of gifts, celebration and indulgent treats. But for parents, the pressure to perform, buy, and deliver is intense. More parties, more shopping, more decorating. More, more, more! Before you know it, those fa-la-la’s turn into pounding headaches and over-tired kids. So how do you keep the holiday season spirited and sane? Don’t over-commit. As a family, identify the events and activities that mean the most to you. Don’t say “yes” to every party invite and gift exchange. Determine whom you most want to see during this festive time of year, and politely decline the rest. Select a few fun and meaningful family traditions. Perhaps it is baking cookies, decorating gingerbread houses or attending a local performance of the Nutcracker. Children fondly remember traditions, so select one or several, and enjoy. Make that shopping list, and check it twice. When you can, shop online. Or schedule a date night with your spouse to shop for the kids together. It’s also helpful to stock up on a few gifts that can be given to anyone – candles, coffee gift cards, boxes of treats. When you find a great gift, buy several for teachers, neighbors and household helpers. Get your zzz’s. Tis’ the season of icky flu bugs and colds, and a rested body is one of the best defenses against winter illness. Sure, there will be special evenings when kids and adults stay up late, but do your best to stick to the routine to keep the family healthy and energized. Consider volunteering. So often kids ask, beg and demand this time of year. Remind them to give back, especially to those less fortunate. Shop for a child who may not otherwise receive a holiday gift, collect cans for a food drive, or create holiday cards for a senior home. Break away from the mass commercialism and your family will likely remember the holidays as a wonderful time to show love, kindness and generosity. Accept that there will be moments that don’t go as planned. The pie crust will burn. The holiday cards will be late. The young toddler will throw a tantrum on Santa’s lap. Embrace the chaos. Laugh it off. Be kind to yourself during this jam-packed season. The holidays are surely a magical time, but remember to stay focused on what we love most about these crazy months – making memories, giving thanks and enjoying family and friends.